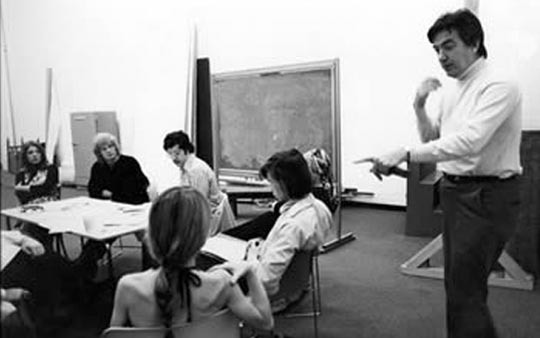 Alexander Mackendrick (1912-1993), who was born in the United States but grew up in Scotland from the age of five, made only nine features between 1949 and 1969, when he took up a teaching position at the California Institute of the Arts. But within that limited output, he managed to create several masterpieces, including his first and best-known American feature, Sweet Smell of Success, just released in an excellent new edition by the Criterion Collection. This is a very dark film from a man perhaps best known for the comedies he made at Ealing Studios in the ’50s. Along with Billy Wilder’s Ace In the Hole (1951), Sweet Smell of Success (1957) offers one of the darkest visions of American society ever to come out of Hollywood. Interestingly, both these films are centred on the newspaper business and the ways in which the demands of a sensation-hungry media breed personal evil in those who serve the machine. But while the callous irresponsibility of Kirk Douglas’s manipulative reporter unintentionally kills a man in his quest to get back on top of the game, in Success we get a portrait of a truly malevolent figure in Burt Lancaster’s J.J. Hunsecker, the powerful columnist who inspires an unpleasant mixture of fawning obeisance and abject fear in all who come within his reach – and as the most widely read columnist in the country, that’s a very broad reach indeed. 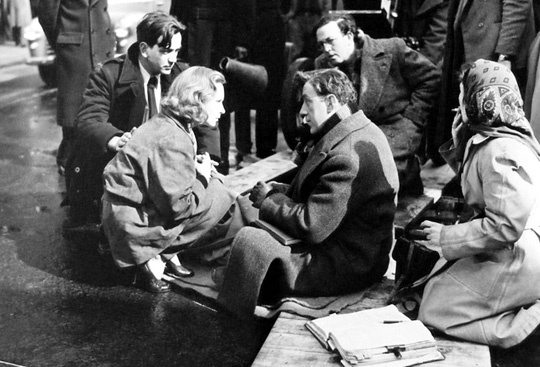 It seems to me that the central thread running through Mackendrick’s work is a fascination with innocence and how it can survive in the real world. His films present innocence in many forms, but never sentimentalized or idealized. 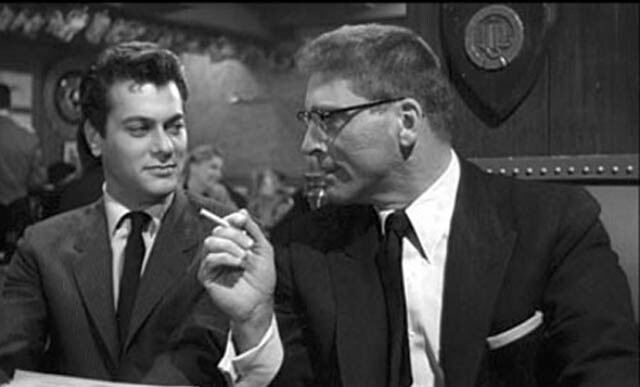 In Sweet Smell of Success, it is represented by Hunsecker’s young sister and her musician boyfriend, the latter a rather dull character in his righteous opposition to the hold Hunsecker has on Susan (Susan Harrison); but Susan herself is innocence twisted and damaged by that hold, unable until the film’s final moments to acquire the strength to reject what is implicitly an incestuous attachment. 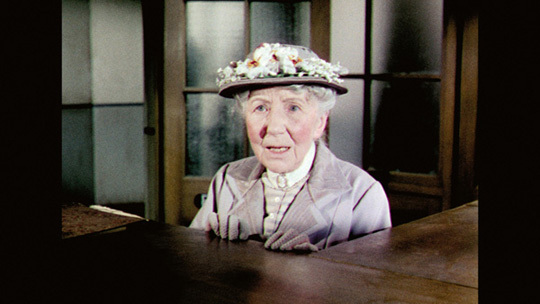 In most of Mackendrick’s work – even his darkest Ealing comedy, The Ladykillers (1955) – the conflict between innocence and “evil” (also represented in many forms) is handled with lightness, even charm. 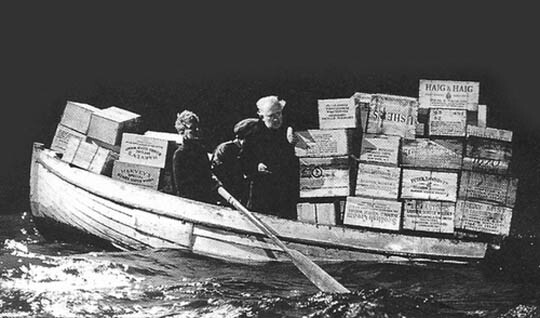 Whether it’s the canny islanders in Whisky Galore! 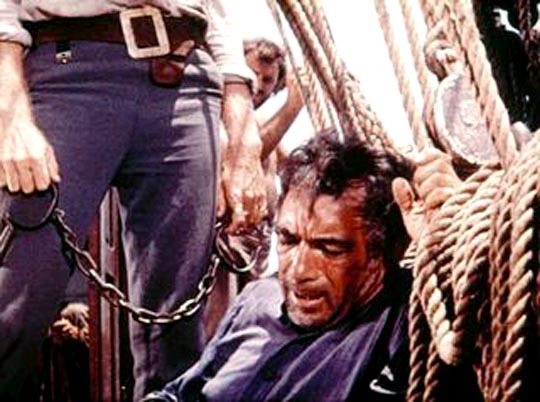 (1949) opposing the stuffy military authorities who are determined to deprive them of the bounty which fate has washed up on their shores, or the oblivious little old lady (Katie Johnson) who is not only the inadvertent cause of the sinister robbers’ deaths, but also the one who ends up with all the money, the key feature of these innocents is a complete lack of malice. This is even true of the more complicated character, Sidney Stratton (Alec Guinness), in Mackendrick’s second feature, The Man In the White Suit (1951). Determined to bring the benefit of his indestructible fabric to the world, Stratton is completely oblivious of the social and economic harm he is about to unleash. 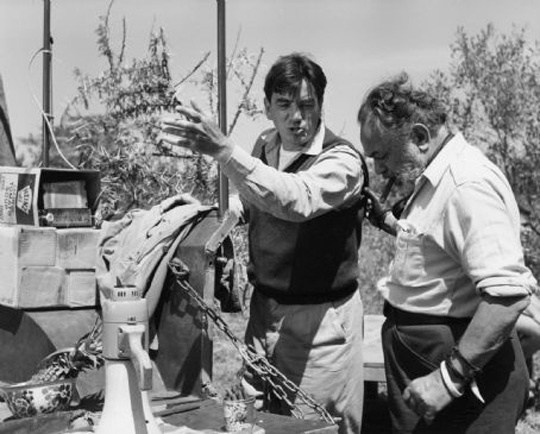 The clearest expression of Mackendrick’s worldview is perhaps apparent in the three films he made which centred on children: Mandy (1952), Sammy Going South (aka A Boy Ten Feet Tall, 1963), and A High Wind In Jamaica (1965). Unsentimental, unafraid of the darkness kids face in a harsh world, unafraid to see the potential for darkness in the kids themselves … these are three of the most adult films about children ever made. 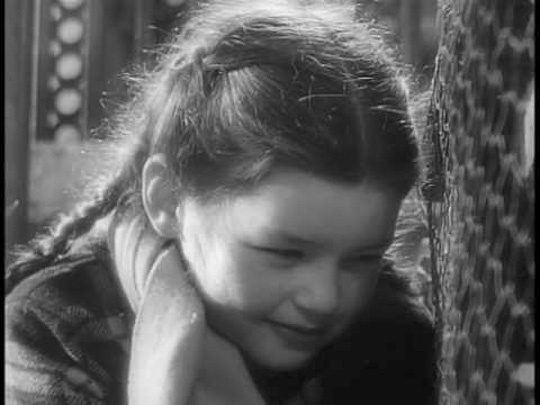 Mackendrick had a remarkable knack not only for eliciting natural, unaffected performances from his child actors, but also for constructing these films from the children’s points of view. In Mandy, we see the world through the eyes of a young deaf girl who has been shut away since birth by parents who want both to protect her and also to conceal their own sense of shame and guilt for having produced this less than perfect child. These parents have become as imprisoned as Mandy (Mandy Miller) herself and only through the gradual opening up of the girl’s world through the intervention of a patient teacher (Jack Hawkins) does the damage caused by adult egos (particularly the father’s) begin to heal. In Sammy Going South, ten-year-old Sammy (Fergus McClelland) undergoes a physical rather than psychological ordeal. When his parents are killed in an air raid during the Suez Crisis, he finds himself alone and surrounded by locals who are now hostile towards the privileged white boy who has until now lived unselfconsciously among them. And so he sets out to cross the entire length of Africa to find an aunt in Durban, learning along the way how to navigate among adults who, either through malice or self-interest, threaten to interfere with his objective. Although variously helped and hindered by wealthy tourists, a threatening Arab, a band of poachers and smugglers, Sammy’s resilience not only keeps him on track, but ends up transforming the smuggler (Edward G. Robinson) who takes him in and eventually offers him a place to stay before finally facilitating the end of his journey. In A High Wind In Jamaica, the Thornton children are shipped back to England by parents who fear that they are growing up too wild, but their ship is taken by pirates and the children end up wreaking havoc among their captors. There is a touch of Lord of the Flies in their “natural innocence”, the lack of social restraints; they take to the pirate life quite handily, yet end up causing the destruction of the men they’ve befriended (including James Coburn and Anthony Quinn). 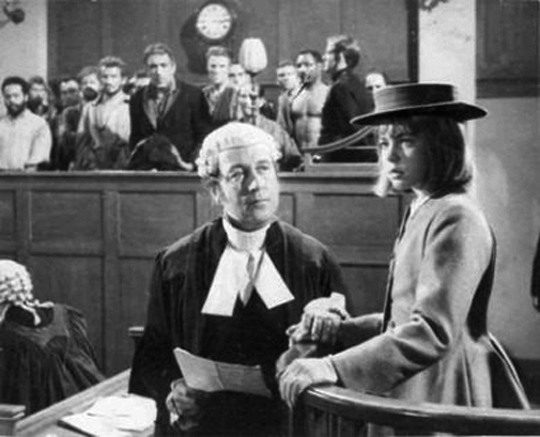 Here it becomes most apparent that the conflicts in Mackendrick’s work, that clash between innocence and corruption, occurs not just between people, but within each individual; it’s the outcome of this struggle which defines human nature, and determines whether the individual will be a monster like J.J. Hunsecker, a self-confident child like Sammy or Mandy, or something in between like the Thornton children in whom wildness and civilization are held in uneasy balance. This entry was posted in Commentary and tagged Actors, Adventure Films, British Film, Burt Lancaster, Children, Comedy, Criterion, Directors, DVD, Ealing, Tony Curtis. Bookmark the permalink.